Wander and discover or follow our leads to find places of exceptional beauty just around the corner or further afield. Archeological sites and monasteries are great, but at Daphne’s Club we go crazy for a trip up the mountains or around the coast of the Gulf of Corinth. So, as we wander and discover the best places to visit, we will update this page with suggestions and photos! 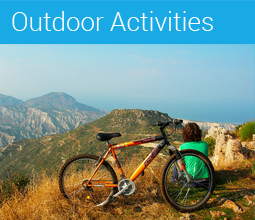 Ask us for more tips and give us your own if you discover something yourself. We will be extremely pleased to share our passion with you! 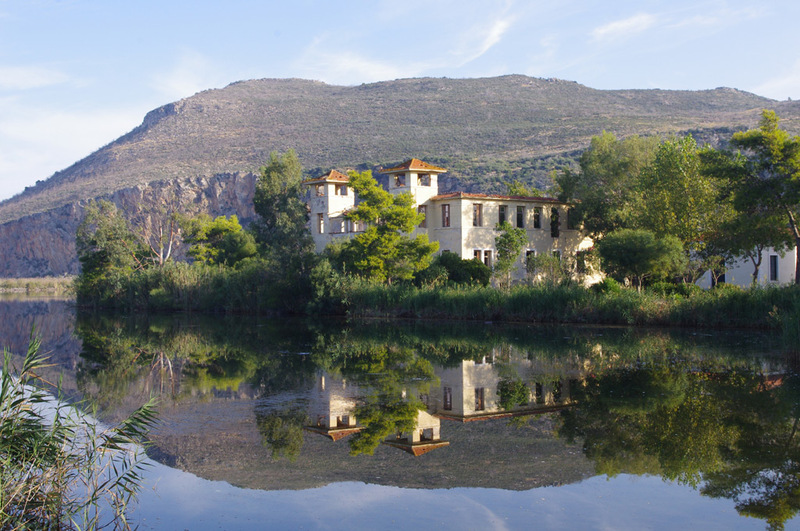 Riza, Rethi, Trikala, Gelini, Manna are just some of the villages that you will meet on your way up the mountains to the South of Sykia and Daphne’s Club. They are all traditional and picturesque, mostly preserving their originality. The scenery on either side of the road is truly beautiful: curly roads among green slopes, dotted with interminable rows of vines, trees and lemon trees. A Greek Tuscany, without the marketing and hype! 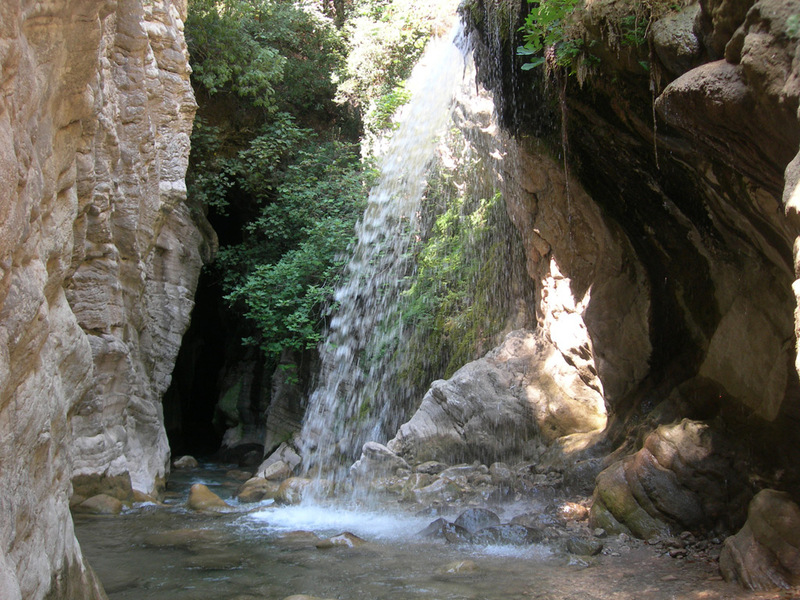 Fonissa is one of the most difficult canyoing gorges in Greece. So we are not suggesting that you try your luck there! You can however take a glimpse it from various places. Among them the dirt road leading from the village of Amphithea to the village of Xanthochori, or the road from the village of Korfiotissa to Kato Loutro. 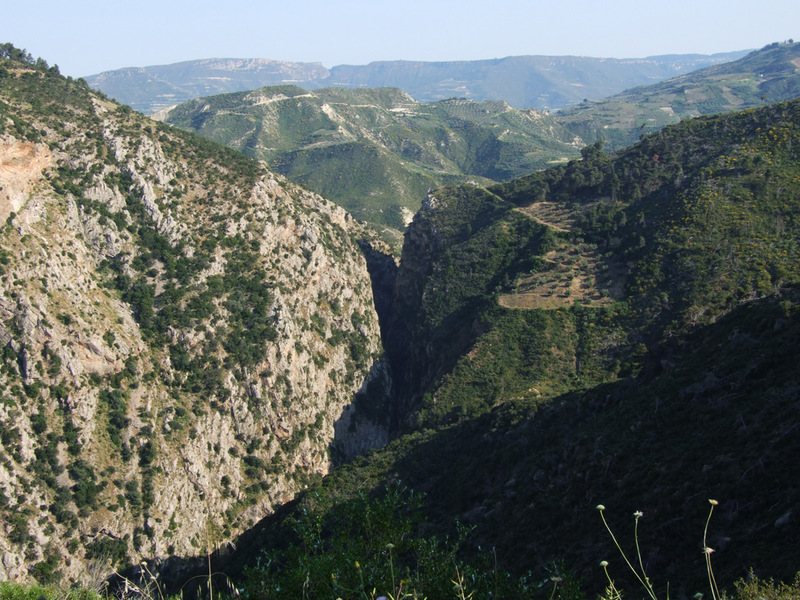 This gorge is in fact one of the most-often cited things to see in the Peloponnese. 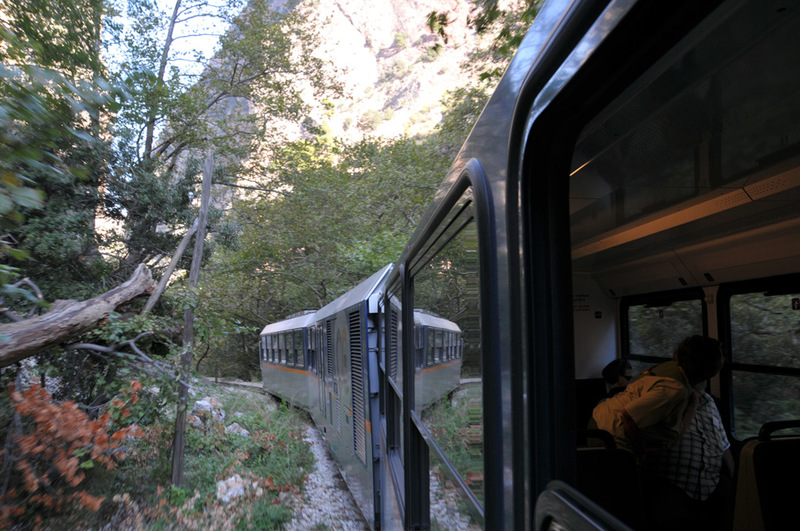 It is famous for the little train that traverses it, climbing up the mountain from the seaside village of Diakopto to the mountain village of Kalavryta. The views from the train are splendid, as it zigzags between the mountains and rocks, next to the small but turbulent Vouraikos river. Especially the points where it enters tunnels or crosses thin metal bridges… An alternative way to visit the gorge is by foot, walking on the train tracks. You can do this uphill or downhill (roughly 30 km or 6 hours walking) and then do the remaining downhill or uphill journey with the small train. 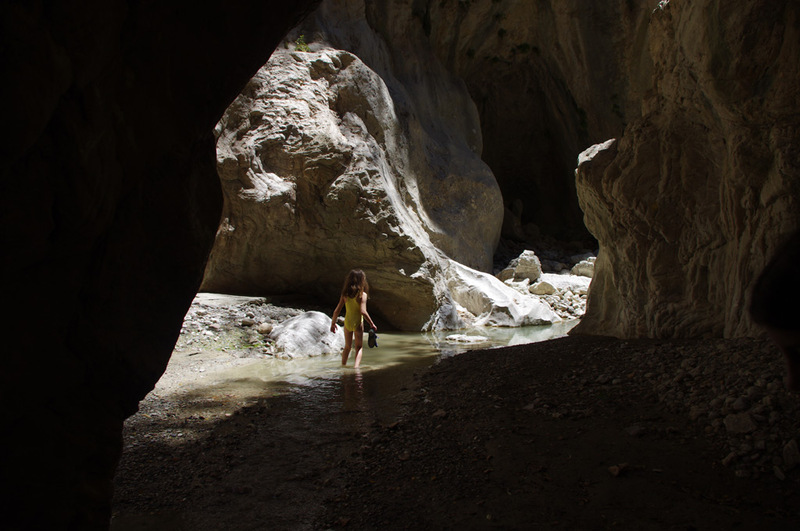 Click here to see a video of the journey inside the Vouraikos gorge. 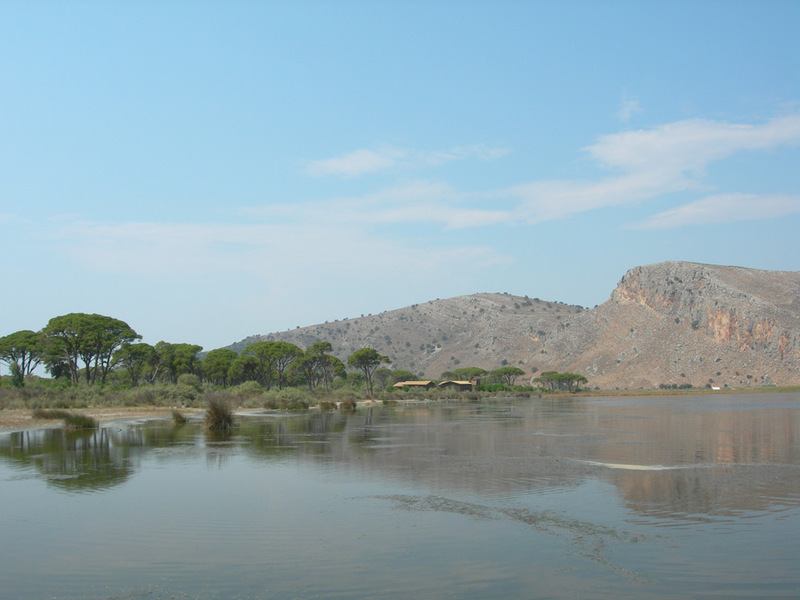 This lake was made famous by Hercules, whose 6th labout took place here: he was to drive away an enormous flock of birds which gathered at a lake near the town of Stymphalos. Arriving at the lake, which was deep in the woods, Hercules had no idea how to drive the huge gathering of birds away. The goddess Athena came to his aid, providing a pair of bronze krotala, noisemaking clappers similar to castanets. These were no ordinary noisemakers. They had been made by an immortal craftsman, Hephaistos, the god of the forge. Climbing a nearby mountain, Hercules clashed the krotala loudly, scaring the birds out of the trees, then shot them with bow and arrow, or possibly with a slingshot, as they took flight. Some versions of the legend say that these Stymphalian birds were vicious man-eaters. The 2nd century A.D. travel writer, Pausanias, trying to discover what kind of birds they might have been, wrote that during his time a type of bird from the Arabian desert was called “Stymphalian,” describing them as equal to lions or leopards in their fierceness. He speculated that the birds Hercules encountered in the legend were similar to these Arabian birds. Pausanias also saw and described the religious sanctuary built by the Greeks of Stymphalos and dedicated to the goddess Artemis. He reported that the temple had carvings of the Stymphalian birds up near its roof. Standing behind the temple, he saw marble statues of maidens with the legs of birds. 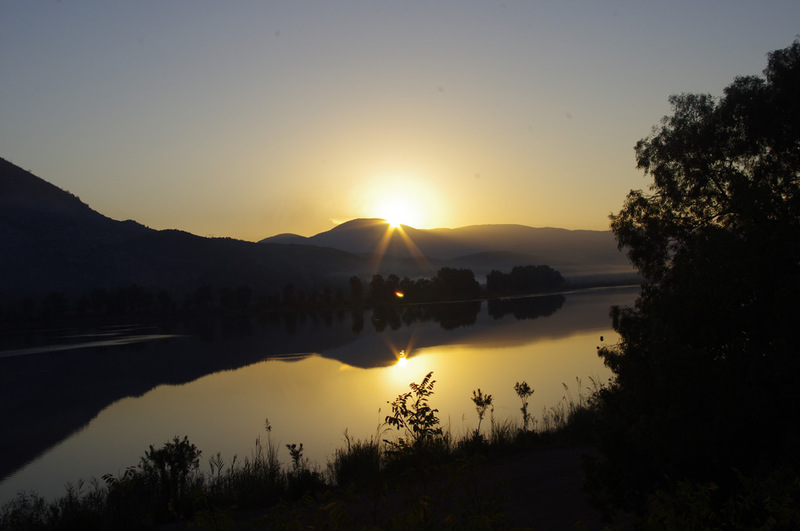 Whatever its frightening history, Stymfalia is today a peacful lake which receives many migratory birds. A drive around it is very pleasant, as is walking around its open-air archeological site. The archeological site of Ancient Stymfalia is being excavated by the University of British Columbia. For more information click here . 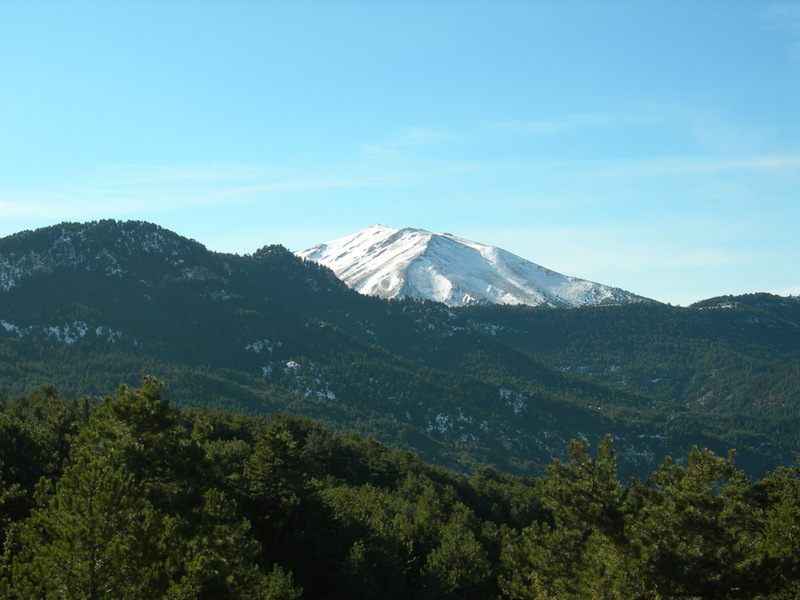 Walking up a silent mountain in a clear cool day is probably among the most pleasant things a human can do and Mount Ziria, a mere 50 km from Daphne’s Club is a good place to indulge in this pleasure! Here are a few pictures taken by the Daphne’s Club excursion team (Dafni, Claire and Filip) on an Autumn Sunday, walking up to the mountains summit. Clear, light ai; the silence of silences, broken only by the bells of the day-dreaming cows; and the omnipresent trademark Greek countryside smell of thyme! 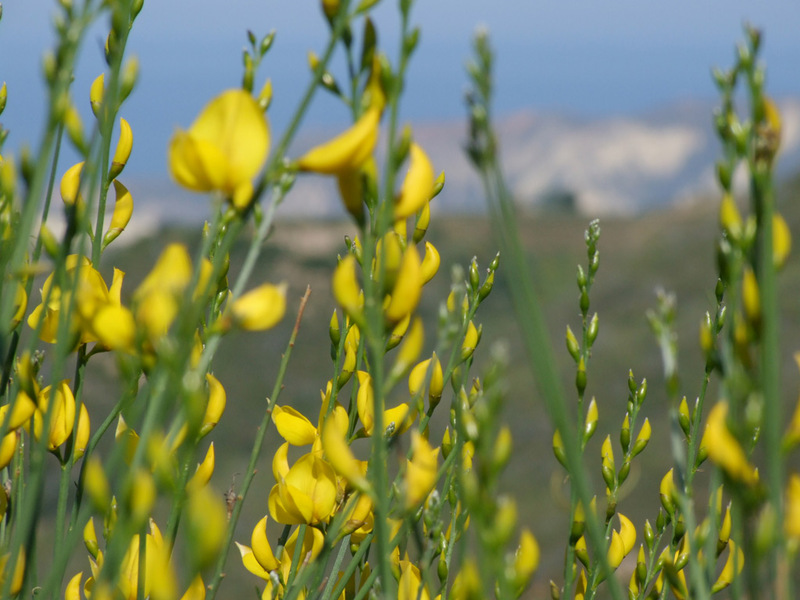 The view of the sea down below, the mountains across the Gulf of Corinth and the busy little villages on the surrounding hills, can hardly be described with words… The wild horses running towards the summit also is also indescribable! 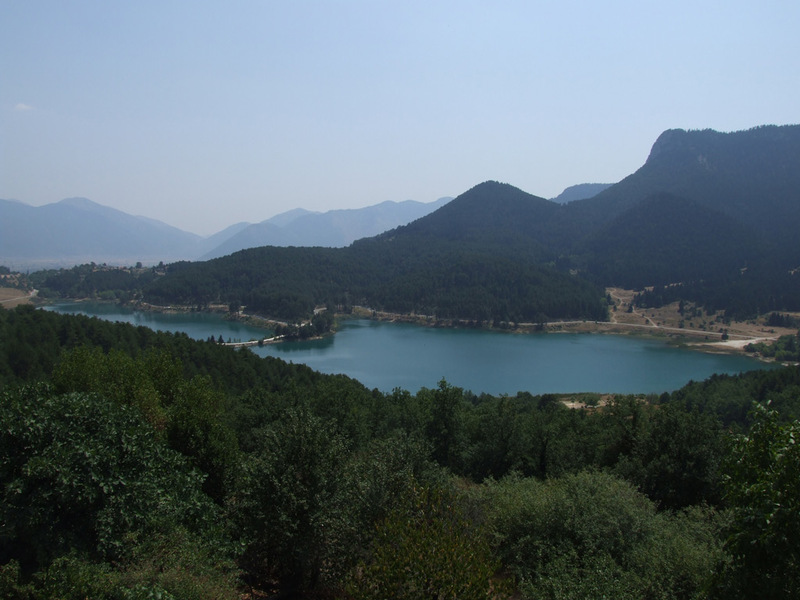 Lake Doxa is to be found on the other side of mount Ziria, the big mountain you can see if you go up to our roof garden and look behind Daphne’s Club. It is usually visited in combination with the monastery of Saint George of Feneos, which overlooks it, and with the villages of Feneos and Goura. 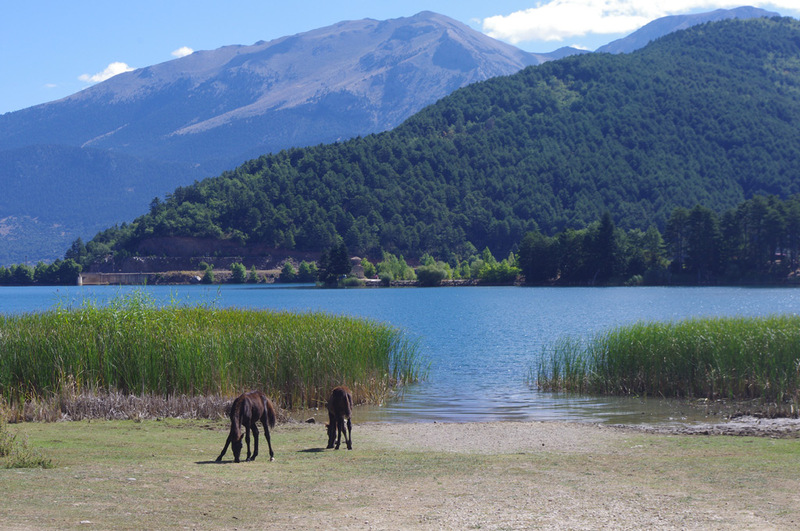 We especially love to take a dip in the lake in the summer, when the seaside is too busy and the heat on the coast too much. Of course, in winter it is also beautiful, with the snow-capped mountains in the backgound. 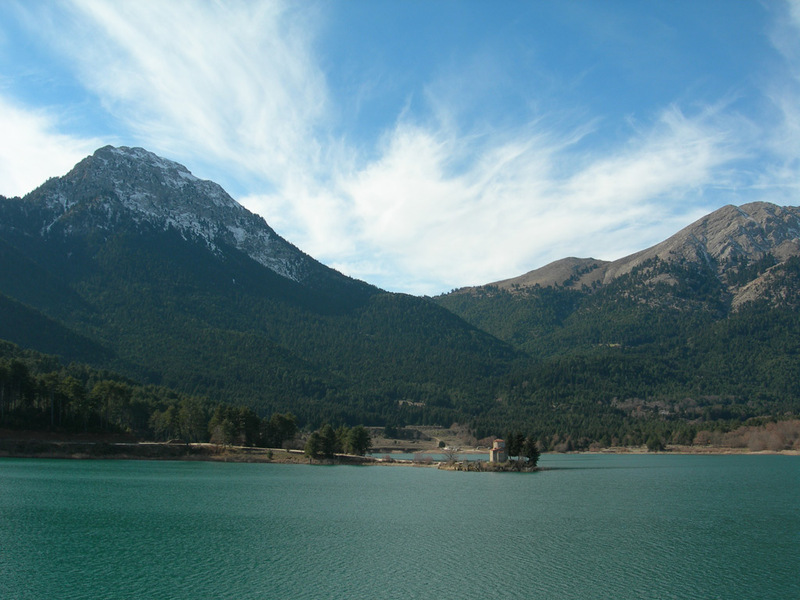 Lake Tsivlos belongs to another mountain: Helmos, which you might have heard because it is also the home of one of Greece’s biggest ski resorts. The 1 and a half hour drive up the mountain is worth as much as the the lake itsefl, as you pass by a superb gorge and some nice villages. You can swim in this lake also. Remember to pack a picnic! 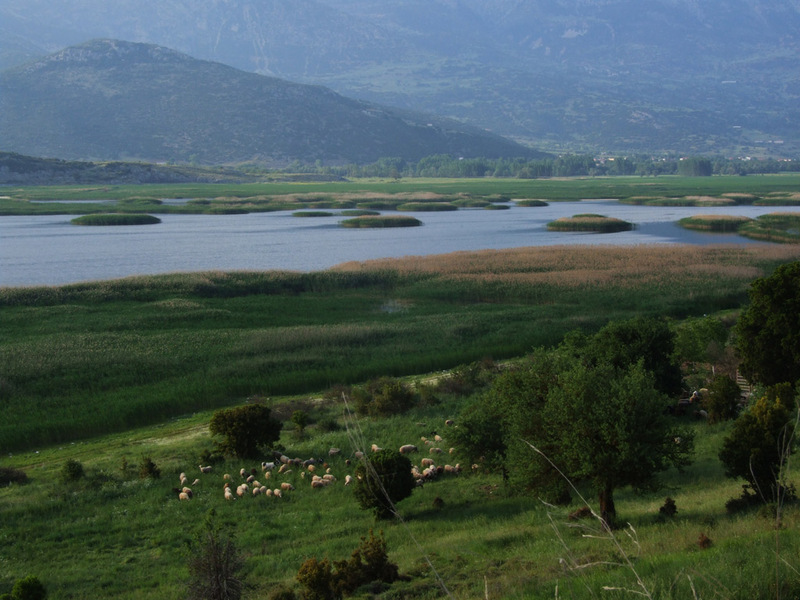 The Kalogria lagoon is a wetland west of the port of Patras, protected by the Ramsar Convention for wetlands. The area comprises the lagoon itself, a pine forest, sand dunes. Its quietness and virginity give it an otherwordly air. 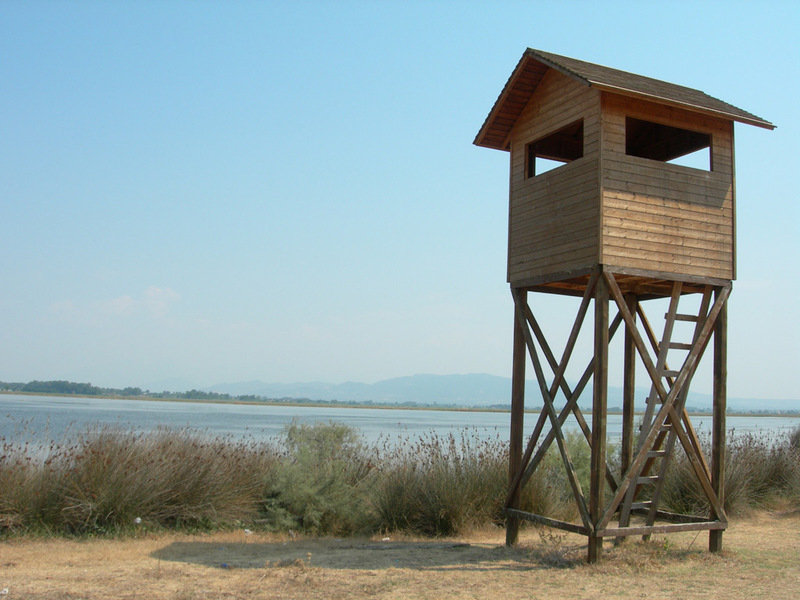 Only the sounds of birds can be heard (and the occasional fighter plane taking off or landing at the nearby Araxos military airport…). 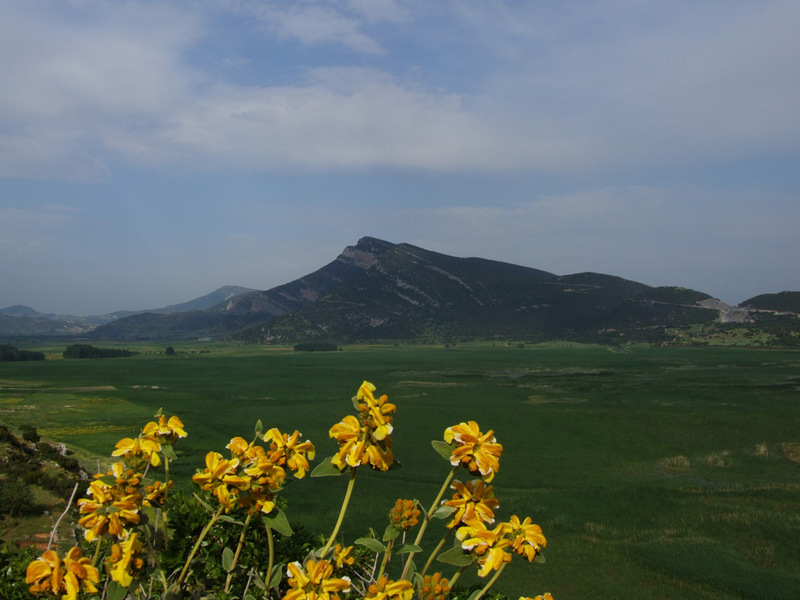 It is worth a visit if you are on your way to the western coast of the Peloponnese, or for its own sake. A visit here can be combined with a swim in the nearby Kalogria beach, a wide strech of sand facing the Ioanian sea. 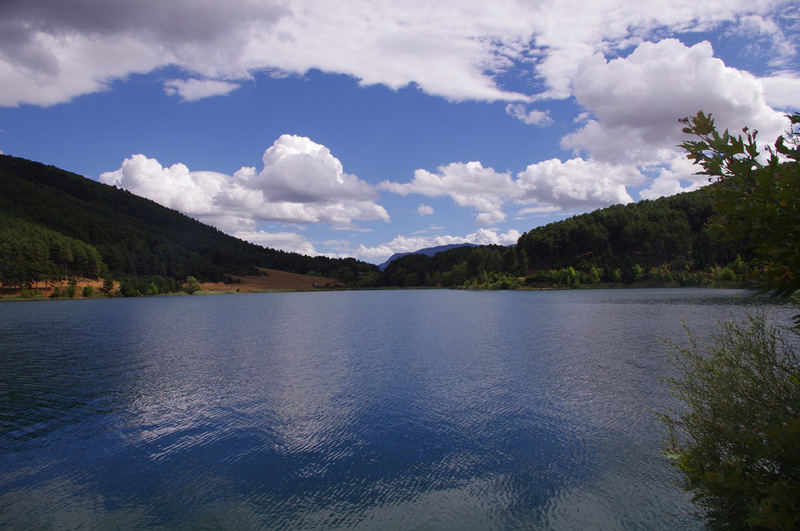 The Kaiafas lake, named after the Judean king, is famous for a number of reasons: it is NATURA 2000 protected site; it has natural mineral springs; and is the training site of the Greek waterskiing team. Not the least of its attractions is also the beautiful sandy beach next to it. If you are planning on visiting these waterfalls without an organised activity group which can provide you with adequate wet-suits, do so in the summer, as these are waterfalls to get wet in! They are relatively easy to reach as there are numerous signs along the way, but make sure that your car has good tires and that it is not overloaded, as the dirt road leading near them is steep, very steep! Once on foot you cross a beautiful old stone arched bridge and continue your climb along a well-maintained path for ten or so minutes. 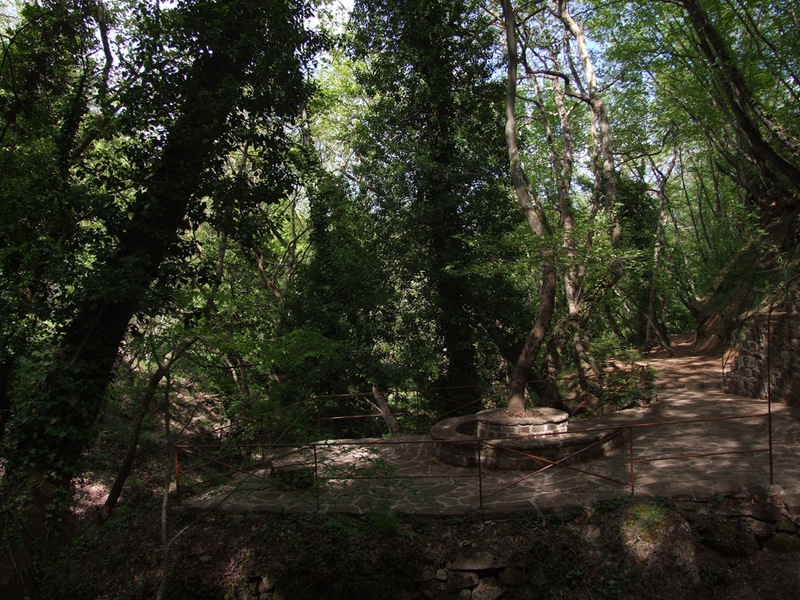 You then reach the first waterfall, which creates a small swimming pool. Very beautiful and well worth a plunge! A simple but effective system of ropes helps you go down further to shower under another waterfall. And still more ropes lead you inside a big cave, with still more falling water! The water is crystal-clear and refreshingly cold and jumping in the river and being showered by the waterfalls is a really great experience! 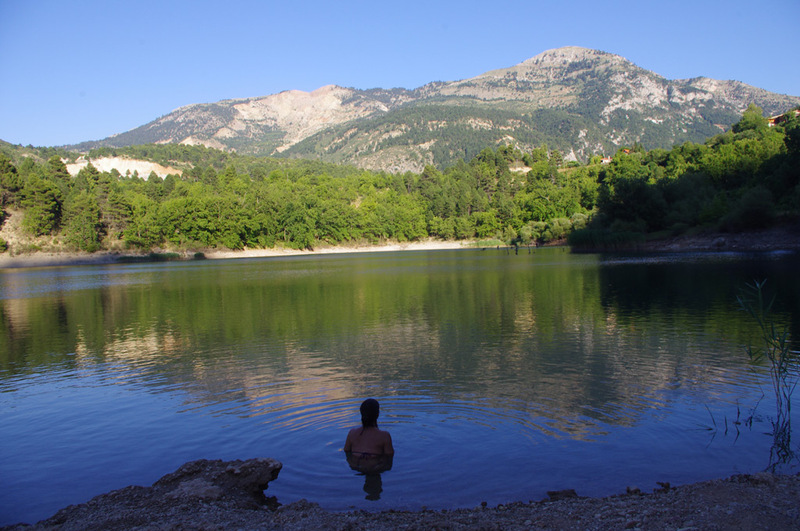 The river itself is easy to walk along and can be nicely combined with a picnic and a swim! The Diros Caves certainly rank among the world’s most beautiful. 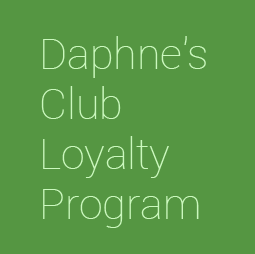 If you love speleology or if you want to see something different, they are certainly worth the full-day trip needed to reach them and return in time for bed at Daphne’s Club. What’s special about them? You traverse them on a barge, as most of the undergound itinerary is in fact filled with water. It is cool also in there (19 degrees), so they also provide a respite from the buring summer sun. Discovered in 1900, they were explored in 1949 by a famous couple of speleologists, the Petrochilos.